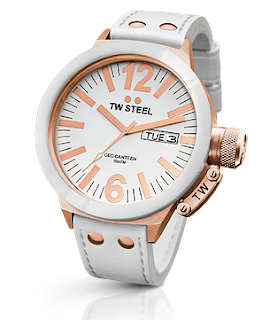 TW Steel has just issued another 2 watches under its CEO series of watches. CEO stands for Collection Extra Ordinary and it is targeted at the CEO (Chief Executive Officer). The new watch comes in 2 sizes: 45 mm and 50 mm. The new watches, CE 1035 (45 mm) and CE 1036 (50 mm) will share the basic specifications of the watches issued under the CEO series. The 2 new watches will have its bezel made of ceramics and the case will be Rose Gold plated. The dial will be rendered in vibrant white and the hour index in rose gold. The strap will be made of Italian leather (in white) and the clasp will be in rose gold (unclear if it is plated or solid). 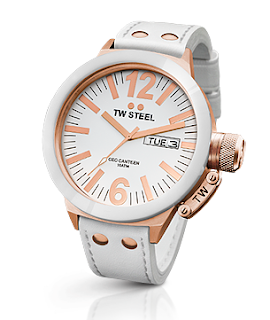 It seems that you dont fancy RW Steel watches!! Ammend the link la...LOL! Thanks for the info. Link updated. Strange I copied the link off the website.